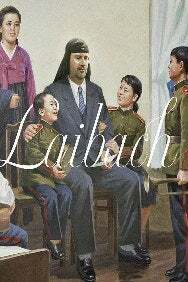 We do not curently have theatre tickets available for Laibach Live with Film Screening. This could be because we have simply sold out or it could be that this show is no longer running. The information on this page remains purely for historical and informational purposes. Avant-garde music group, Laibach are still the most internationally acclaimed band to have come out of the former Communist countries of Eastern and Central Europe and they’re rounding up 2018 with the release of The Sound Of Music, a collection of songs inspired by the iconic film. Taking the album on the road in the early months of 2019, they’ll perform much of the new record, as well as selected songs from their repertoire. Live Performance & Exclusive screening of the documentary “Liberation Day”.